You're invited! 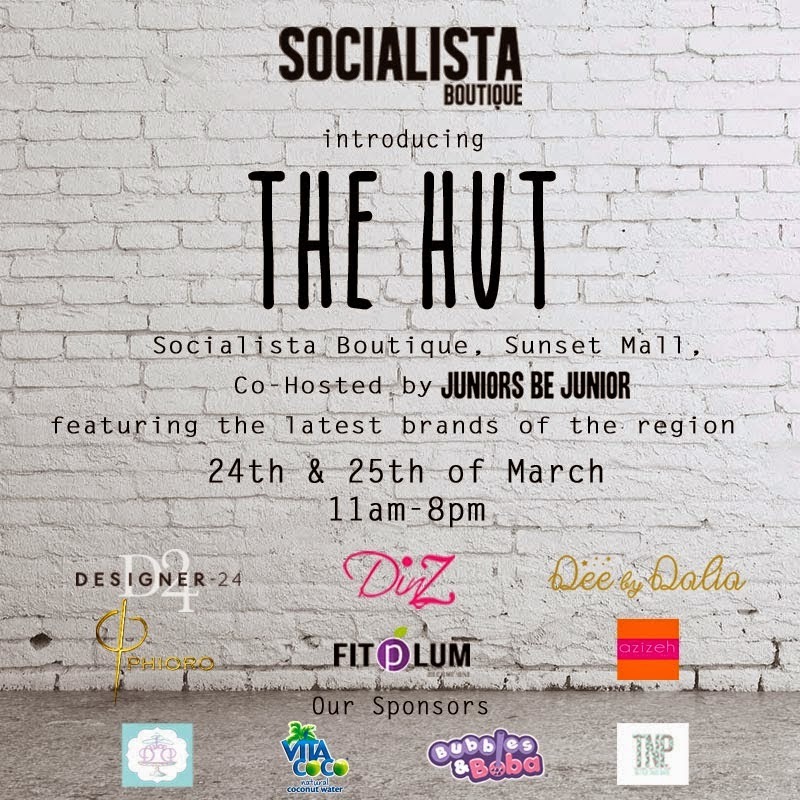 Socialista Boutique is hosting a pop up called THE HUT this coming Tuesday and Wedesday, co-hosted by Juniors Be Junior.The Hut will host the top emerging brands of the region, good music and very yummy snacks. Venue :Socialista Boutique, The Sunset Mall, Jumeirah Beach Road, Dubai.